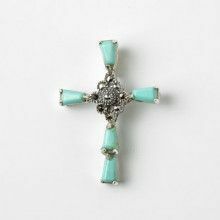 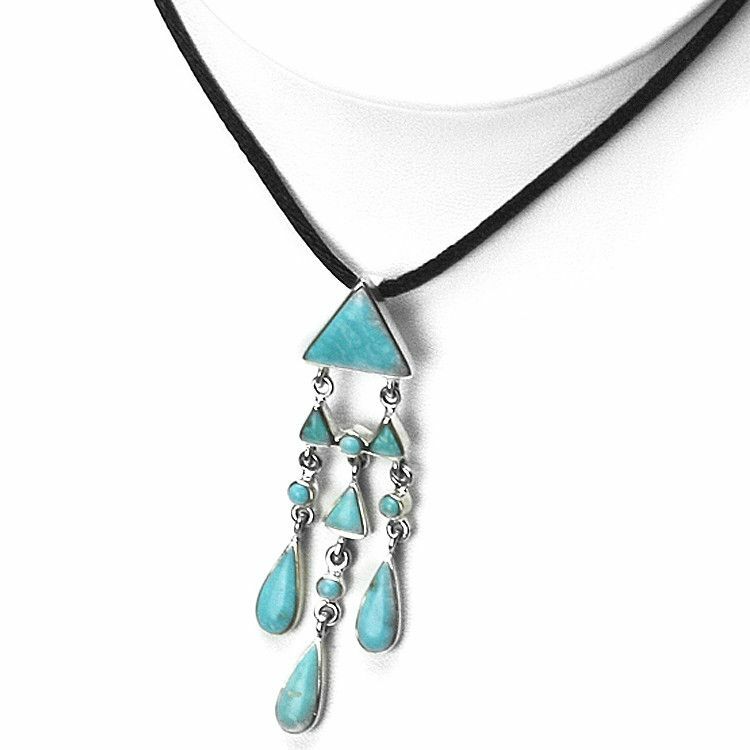 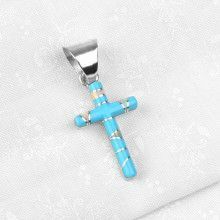 This unique sterling silver pendant features an array of beautiful turquoise stones. 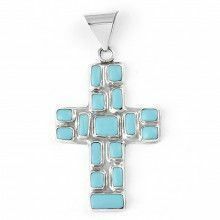 The pendant has a distinct southwestern feel to it. 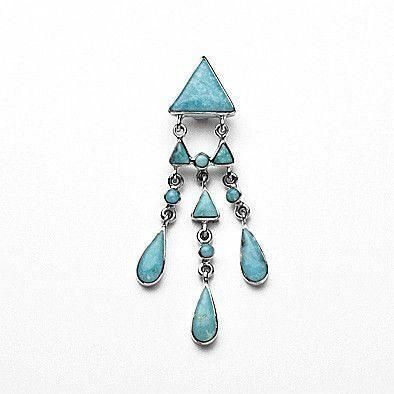 The stones range in size from 1/8" in length to 5/8" in length. 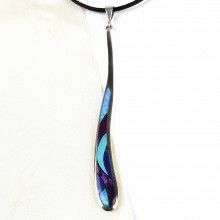 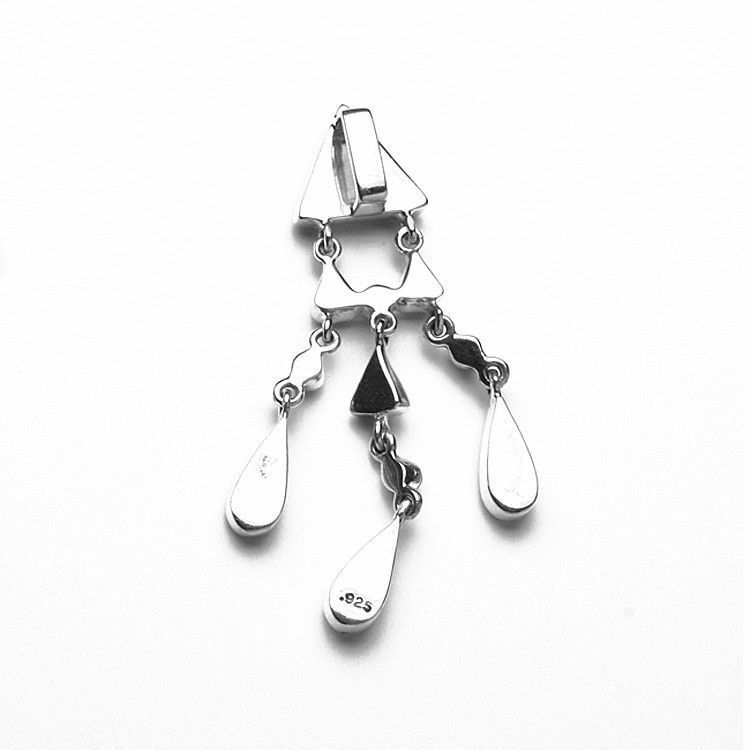 The pendant itself measures 2 1/2" long by 3/4" wide. 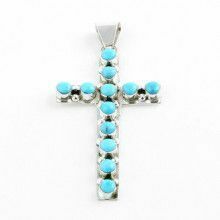 Pendant Measures: 2 1/2" x 3/4"
Stones Range From 1/8" to 5/8"